Simplify life on the road with the Logitech VX Nano Cordless Laser Mouse. It's always ready for use, thanks to one of the world's smallest USB receivers. Plug it into your notebook's USB port just once, then forget about it. No more broken or lost receivers and no more hassles. 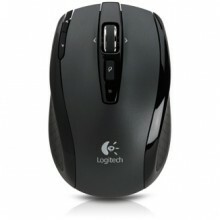 Click the button below to add the Logitech VX Nano Cordless Laser Mouse to your wish list. All prices are in USD. Copyright 2019 Ultra-Digital.com. Sitemap | Powered by Ultra Digital Enterprise Shopping Cart System.